Remember the sequence in Hum Dil De Chuke Sanam when the family of Aishwarya Rai Bachchan, the prospective bride, meets the family of Ajay Devgn. In the hullabaloo of conversation, Ajay is requested to sing a song. Next we see a tensed Ajay with clouds of awkwardness shrouding his body posture. It is an extremely difficult situation he is thrown into. Low confidence and a chance to escape from the tricky situation are apparent in his mannerism. Vanraj, the character played by Devgn is just not able to express his real self, which is more like ‘I want to get out of this situation and don’t want to sing’. Later, when the marriage is solemnized, he has issues expressing his love to his wife. Actions are all he relies upon but at heart, he remains the hero. So while for Ajay expressing feelings remained a challenge in Hum Dil De Chuke Sanam, Nana Patekar could neither listen nor speak in Khamoshi – The Musical. Similarly, Rani Mukerji could neither see nor listen in Black and a paraplegic seeking euthanasia was Hrithik Roshan’s fate in Guzaarish. In other words most of characters that we get to see in Sanjay Leela Bhansali films are feeble, emotionally burdened and have issues expressing themselves. Bhansali was once asked by this writer that why it is always difficult for his characters to express themselves. His reply was simple and had said that he cannot express himself and felt it was always a challenge for him. But there lies a catch too. With a gradual progression in his career, a change too was detectable. So while his first six films, from Khamoshi – The Musical to Guzaarish, had characters that labored to demonstrate their feeling, the same characters took a U-turn after his Goliyon Ki Rasleela: Ram-Leela hit the marquee. What we witnessed was a complete departure from the SLB school of filmmaking. The later films had characters who had confidence oozing out from every pore of their body. Ranveer Singh in Goliyon Ki Rasleela: Ram Leela was everything that Devgn or Shah Rukh Khan (in Devdas) or Hrithik were not. The self-assurance and the determination of his lead actors to take things head on were not seen in the past. It also heralded the beginning of a new Sanjay Leela Bhansali. The redux Sanjay Leela Bhansali came to the fore after the debacle of Guzaarish. It was a film that was made straight from the heart and box office prospects were ignored in its making. The debacle sort of took a toll on him. Soon after he donned the role of a full-fledged producer and the films he green lighted as a producer were a far cry from the intense melodrama he was known for. In came a lighthearted My Friend Pinto, a frothy Shirin Farhad Ki To Nikal Padi and the action masala entertainer Rowdy Rathore. These films stood as complete antithesis to the dictums of the SLB films. This was also a facet of Bhansali that was hitherto unknown to people. 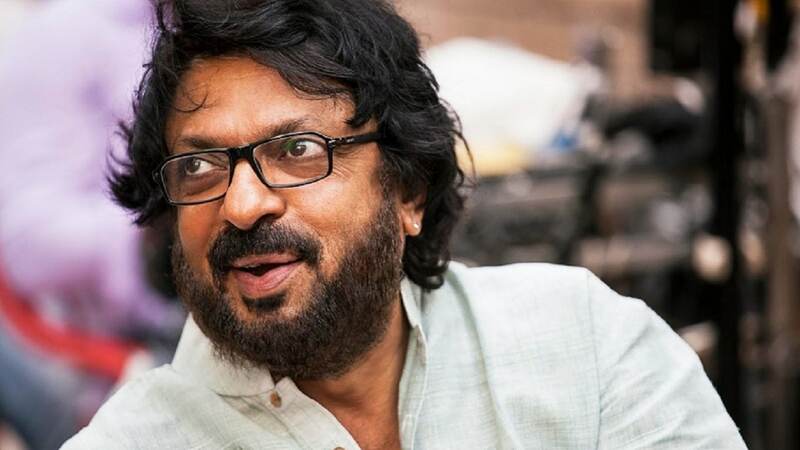 These films were also testing waters for Bhansali the producer, if he could incorporate the same elements in films that he was to direct in the future. After the initial experiments were done with, his next outing was with Ranveer Singh for Goliyon Ki Rasleela: Ram-Leela. The character of Ram in the film exuded confidence, had no place of self doubt and was a marked departure from the stillness and subtlety of his earlier protagonists. Apart from singing and dancing bare-chested amidst crowd, he could also make damsels go weak in their knees. The reformed character was also well versed in the art of tackling goons and a fondness for X-rated films. Think of the traits of SLB’s earlier characters – Devgn could not prevent his own wife been mugged in while driving in Hungary, Patekar's helplessness was a major cause of worry for Manisha Koirala, SRK was powerless in front of alcohol and Mukerji needed help at every stage. It is said that the only thing that remains constant in the universe is change and surely, Bhansali is no exception. In an earlier interview to a Mumbai newspaper, he had mentioned that his movies are a summation of all that he has become over years. He had also added that his movies are personal notes of his entire life. Judging by his own admission, the behaviourial change is apparent in the filmmaker. So can it be deduced that the present SLB is a wise man and his persona has a semblance of the reel avatar of Ranveer Singh’s confidence? When he countered every negative view that was said during the release of Saawariya, it showed a helpless trait of the filmmaker but the same helplessness was missing during the run up to the release of Padmaavat. Despite the controversies and accusations of him tampering with history hurled at him, he only came out once to defend the film. Was it confidence or something else? This author had met the filmmaker during the success party of Rowdy Rathore. As fate would have it, the very same morning some controversy erupted pertaining to the film, in a very casual manner and off the record when he was reminded of the same, very flippantly he had mentioned that the protestors are free to do whatever they feel like and he did not have time as he was busy counting the collections of Rowdy Rathore. If the traits of his characters are any indication, Bhanslai has left far behind the subdued and the no expression persona which once used to be the hallmark of his protagonists. Silence still remains his biggest weapon and now he has developed the know-how to channelise it. His mood at various stages of his life has been demonstrated and expressed through his films. A lot is to be credited to Ranveer Singh, his current muse. The change became discernible in the filmmaker only after the two joined hands. 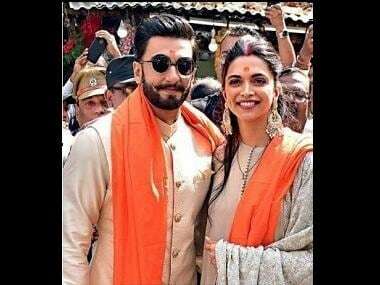 If his current state of mind is Alauddin Khilji, then he certainly has covered a long distance from the days of Joseph and Flavy.